Why is the European Commission instructing museums to incur more risks by lending more art? Given the notorious risks of loaning works of art (see: An Appeal from Poland) and the high costs of insuring against those risks, why should the European Commission now be doing everything in its power to increase the practice throughout all of Europe’s museums? The ostensible prospectus for this pan-European project to “set culture in motion”, under the aegis of the 2007 “European Agenda for Culture in a globalising world”, rests on an evident conviction that an ever-greater shuffling around of the stock of art that is housed in Europe’s historical and nationally distinctive museums is a self-evident Good Communautaire Thing. While lip service is paid to “retaining the cultural diversity of the member states” it is hard to see how this might be achieved through a project which by design “contributes to European integration” and aims to bestow “a context” upon the art which is moved. When reading the promotional literature, it is hard not to see an overarching desire to homogenise European cultural life precisely by subverting the richly individual historically-forged identities of national institutions. It is hard to see how, in the real Euro-world of collapsing economies and soaring unemployment, a massive bureaucratized drive to increase inter-museum loans and their attendant risks might be considered other than whimsical and irresponsible. Getting practical is not the same as “Getting real”. The risks to loaned works are real and the cost of insuring against them is correspondingly and appropriately high. As if to bypass this latter reality, Collections Mobility 2.0 charged a group of experts to examine over 5,000 loans made in five years under state indemnity schemes. This group duly reports that only seven claims for minor damage were made under those schemes. Taking these findings at face value and making no allowance for the under-reporting of travel injuries in the art world, Collections Mobility 2.0 seeks to increase loan traffic volumes by advising museums to insure less, to insure their works only for the specific short periods of travel at the beginning and end of a loan period, and not for the full duration of the loan. This would greatly compound the hazards. 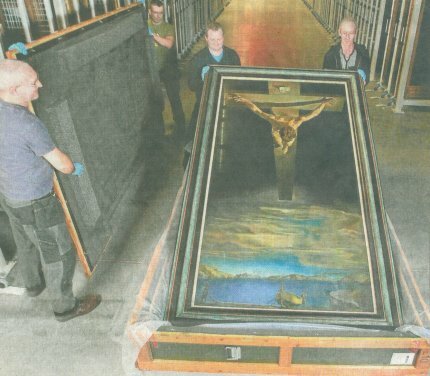 TheArt Newspaper reports (February) that Sandy Nairne, the director of the National Portrait Gallery, has pointed out that loaned paintings get stolen from within museums and not just while on the road. He should know, having been charged when at the Tate with making the arrangements for the recovery of two of its Turners that were stolen when on loan to a museum in Germany. 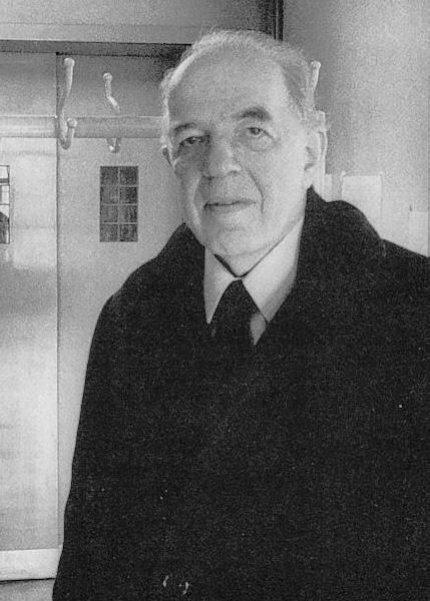 Mr Nairne’s warning that “Without insurance the Tate would have had no money, nor the paintings”, cannot be gainsaid. What might be said is that by paying a ransom of over £3m to what Geoffrey Robinson, the former Paymaster General, described as “a group of particularly nasty Serbs”, the Tate established a going-rate “reward” of fifteen per cent of a work’s insurance value to obtain a recovery and avoid a full insurance pay-out. Whether such ransoms masquerade as “payments for intelligence” or not, they make art theft an increasingly tempting prospect. For example, were the Krakow, Czartoryski Foundation’s, Leonardo da Vinci, Lady with an Ermine, to be stolen during its proposed trips to and from the National Gallery in London, it would, with its current insurance rating of €300m, afford a juicy potential haul of €30-45m to thieves. 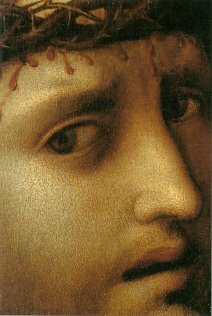 Were that Leonardo to be insured only during its times of travel, as Collections Mobility 2.0 now urges, the insurance cost might fall “considerably” – but the painting would remain a plump €30-45m target. Were it to be stolen from within the National Gallery, the owners, having acted on Collections Mobility 2.0’s advice, would receive nothing from the insurers. 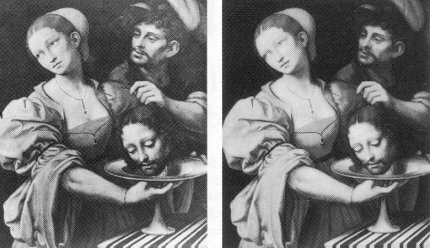 Similarly, if the painting were to be dropped and smashed at the National Gallery during the periods of installation or de-installation (as happened recently to a panel by Beccafumi), the Polish owners would receive nothing from the insurers. Were private insurance arrangements to be replaced by state-guarantees of indemnity, in the event of thefts, states would find themselves in “recovery” negotiations with nasty criminal groups and without the political cover afforded by commercial insurers. There are no limits to the problems associated with Collections Mobility 2.0. Were the Lady with an Ermine to be loaned by her owners to France instead of, or in addition to Britain (and any or all venues would seem to be on the cards with this painting under its present aristocratic stewardship – in recent years she has been loaned to: Washington, 1991; Malmo, 1994; Kyoto, 2001; Nagoya, 2001; Yokohama, 2002; Milwaukee, 2002; Houston, 2003; San Francisco, 2003; Budapest, 2009) the risks of theft or injury would likely be higher still. The Daily Telegraph recently reported growing concerns that French museums are easy targets for thieves (“Lending works of art to France is a risky business”, 29 August 2010). For the past fifteen years thefts from French museums have run at three a month. In May 2010 thieves broke into the Museum of Modern Art in Paris and stole five paintings valued at £86m. If Eurocrats are offended by these nationally expressive institutions, they should say so openly. Better yet, they might resolve to leave them in peace to speak for themselves. 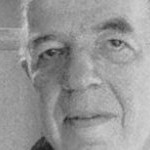 Since we already have the free movement of all European citizens, there is no impediment to their visiting any art – in its own already culturally rich context – anywhere on the continent. Let us cherish Europe’s unequalled and diverse cultural achievements for what they are and avoid putting them to unnecessary risks. 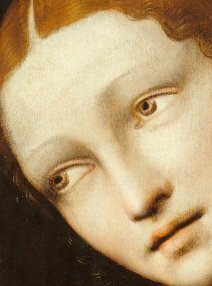 Above: the National Gallery’s 16th C. oil on wood panel painting Marcia by Beccafumi. 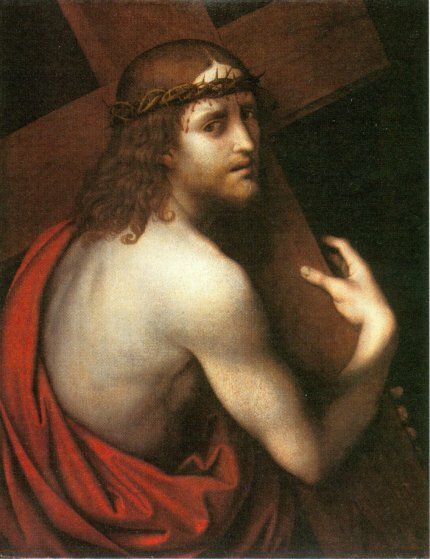 This panel painting was said by the gallery (Report, 13 March 2008) to be “fragile” and “never to be allowed to go out on loan”. 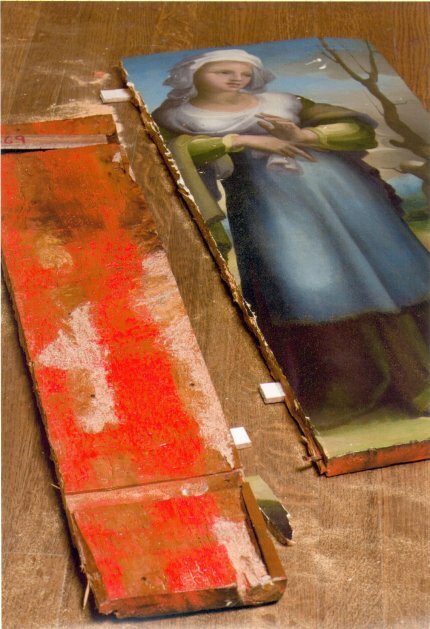 Here, the picture is seen as when dropped and smashed at the National Gallery on 21 January 2008 during “the de-installation of the exhibition Renaissance Siena: Art for a City”. After the Marcia panel was restored, it and its companion Tanaquil did not return to their place in the main galleries but were relegated to the ill-lit basement of the reserve collection which is open to the public for only a few hours a week. 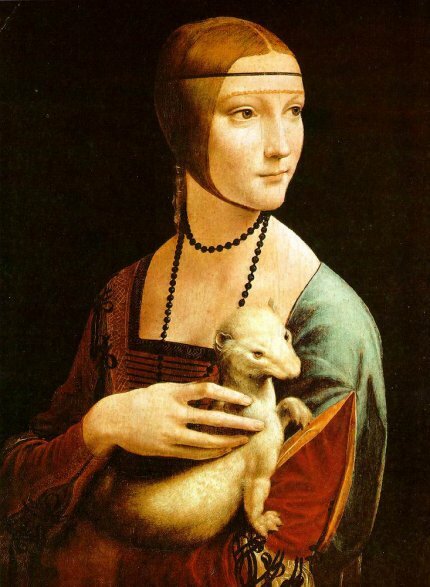 Below: Leonardo da Vinci’s late 15th C. Lady with an Ermine, oil on wood panel, 54 cm x 39 cm. 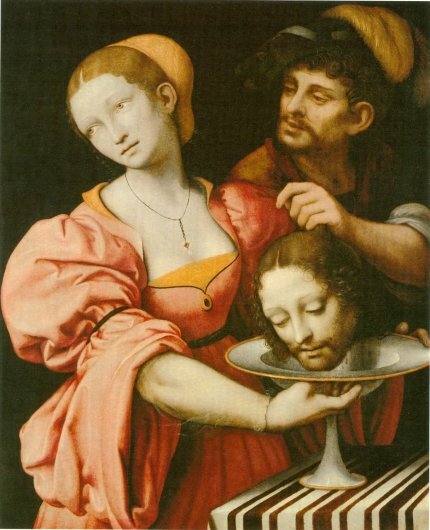 This painting, normally housed at the Czartoryski Museum, Kraków, is presently on show at the National Museum in Warsaw. 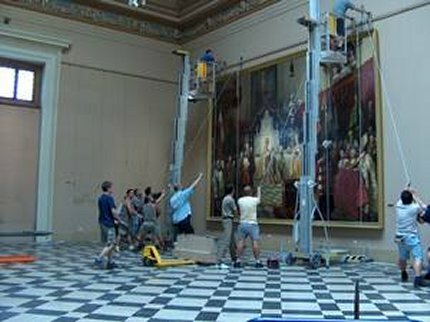 It has recently been loaned to the Budapest Museum of Fine Arts. 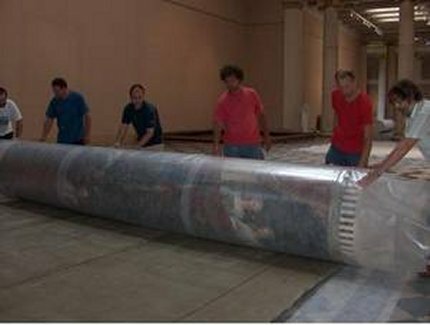 It is planned to move the picture again to London for the National Gallery’s exhibition “Leonardo da Vinci: Painter at the Court of Milan” exhibition from November 2011 to February 2012. “Given the technology of the picture, it is necessary to keep it under constant microclimatic conditions, in one place, in a tight microclimatic frame of the new generation, made on the basis of the already proven solutions used for panel masterpieces in renowned museums. Only by storing the picture in a fixed location will eliminate to the maximum such basic threats as unavoidable external pollution, changes in the microclimate, all kinds of shock, vibration, drastic changes in pressure, and reduce the risks resulting from independent factors. “To sum up the basic arguments put forward for the protection of the painting Lady with an Ermine, I firmly declare that each loan and the associated with it transport are a serious, even reprehensible, threat to the state of preservation and safety of this priceless work of art. I also believe that based on the special immunities provided for outstanding works of art already developed and operating in Austria, Germany or the United States, it is necessary to grant such immunity to the painting from Krakow.“Like every masterpiece the painting Lady with an Ermine has a historical value, and in this value is also included – the Czartoryski Museum, Cracow’s atmosphere and the tumultuous history of the picture during the last century. Each loan ‘strips’ the work of this unique ‘setting’, which while not indifferent to the viewer, should be especially nurtured and protected in the Polish reality. Below: An advertisement for a “Collections Mobility 2.0 Lending for Europe – 21st Century” conference in Brussels. “Around 600 people registered to attend the Culture in Motion conference 15-16 February in Brussels! Discover the new brochure! Secure your place now before it’s too late, and get a sneak preview of the brand new Culture in Motion brochure full of exciting project interviews. Around 600 people have already registered to attend the Culture in Motion Conference and the Stakeholder Consultation Meeting on the Future Culture Programme 15-16 February in Square Meeting Centre, Brussels.